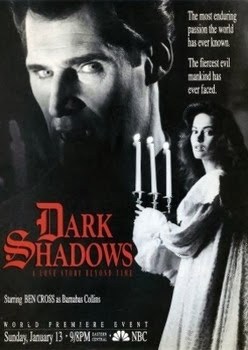 Dark Shadows The Revival aired on Sunday January 13th and Monday January 14th, 1991 as a four hour miniseries on NBC. 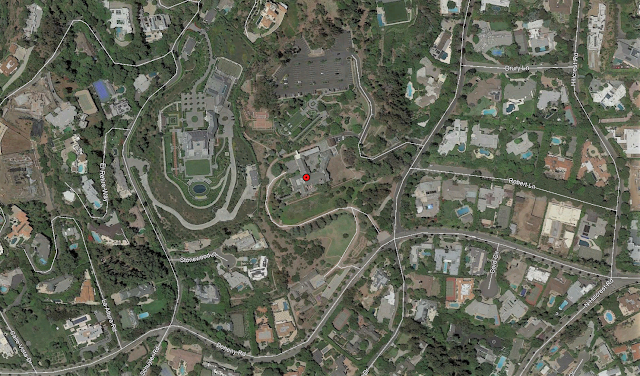 Filming locations include Beverly Hills, Ca. Dan Curtis, the creator of the original Dark Shadows series returned to co-write and direct the first four episodes. Twelve episodes were produced for the first season. After the initial premiere the show was slated into a Friday evening time slot. The scheduled episode for February 22nd, 1991 was delayed a week due to coverage of the Gulf War and the announcement by United States president George Bush that the U.S., along with their Gulf War allies were giving Iraq 24 hours to begin their withdrawal from Kuwait. The final episode of season one aired on March 22nd, 1991. Shortly after, the network cancelled the series due to a ratings decline. Many blamed the on going Gulf War coverage for it's demise. The show had a stellar cast including a young Joseph Gordon-Levitt, who was around the same age as I was at the time, the legendary Barbara Steele as Dr. Julia Hoffman, as well as Ben Cross from Chariots of Fire playing the lead of Barnabas Collins, among other notables. The score was done by Robert Cobert. I remember watching all of the promos for the show months in advance of the first episode airing and being very excited, despite not seeing any of the original Dark Shadows episodes from the late 60's/early 70's. It had a slightly more sophisticated look to it than most of the horror movies/shows I was accustomed to watching as a kid growing up in the 80's and that intrigued me for some reason. I remember never missing an episode and being genuinely upset when I learned it had been cancelled. I didn't get the chance to watch the episodes again until it was released onto DVD by MGM Home Video in 2005. Previously each episode had been released by MPI Home Video onto VHS in the late 90's. The VHS release featured an extended pilot episode and an extended final episode and also presented the original one-hour versions of episodes 2 and 3 (for broadcast, NBC combined them into a movie-length version so they could air that and the pilot as a two night mini-series to kick off the series premiere). The home video presentation of episode 3 restored the "I'm Victoria Winters" opening narration that was left out of the movie-length version. The 2005 DVD release from MGM Home Video, although re-mastered in High Definition contained alterations to the original image presentation. Firstly, the overall image was cropped from the original full-screen image to a 1.78:1 widescreen ratio. Secondly, after re-mastering, certain scenes that were shot "day for night" (shot in daylight, but planned to be altered in post-production to look like night time) were mistakenly left untreated, presenting the problem of a vampire walking around in broad daylight. Also, this release presented the episodes the ways they were shown on NBC, meaning episodes 2 and 3 were the "movie length" version and the unaired footage from the MPI release was not included at all. The majority of filming was done at the Greystone Mansion. also known as the Doheny Mansion, a Tudor revival mansion on a landscaped estate with distinctive formal English gardens. Architect Gordon Kaufmann designed the residence and ancillary structures, and construction was completed in 1928. The estate was a gift from oil tycoon Edward L. Doheny to his son, Edward "Ned" Doheny Jr. and his family. Following the purchase of the estate by the city of Beverly Hills in 1965, the property became a city park in 1971, and was subsequently added to the National Register of Historic Places in 1976. The house and grounds are often used for film making and television productions. The house's descending staircase is one of the most famous sets in Hollywood. Some notable productions here over the years include Batman & Robin, The Big Lebowski, The Bodyguard, Entourage, Flowers in the Attic (1987), Ghostbusters II, Hard to Kill, Phantom of the Paradise, The Prestige (2006), Spiderman, There Will Be Blood and X-Men among many others. All "Now" pictures taken in 2010. The first picture is actually a model shot. For the model, they took the existing architecture of Greystone and added a lot onto it to make the house look even bigger.